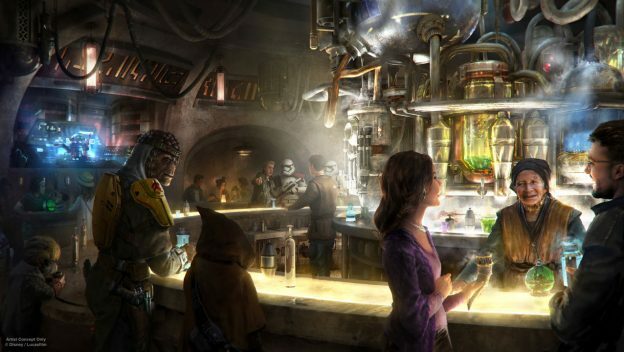 A Barron’s article has revealed new details about the shopping, drinking and dining experiences coming to Star Wars: Galaxy’s Edge — and a hint at when the California version of the 14-acre land may open. While Barron’s was granted exclusive access to the construction site in Disneyland in Anaheim, California, where the layout Galaxy’s Edge will be slightly different, much of the article covered experiences which will also be available in Disney’s Hollywood Studios in the late fall of 2019. One of the Galaxy’s Edge shops, the article said, will feature a collector named Dok-Ondar, who was briefly mentioned in last year’s “Solo: A Star Wars Story.” Likely an animatronic character, Ondar will have his own booth (Barron’s compared it to Danny DeVito’s character in the 1978 TV series “Taxi”) where cast members may interact with him, haggling over prices. Another shop will feature customizable droids. While existing Disney shops allow a certain level of customization, such as stations where guests can build their own toy lightsabers, these droids will have more interactive capabilities. If it’s afraid of stormtroopers, for example, the droid may make a signal when one is near. Droids owned by members of the same “group” might recognize each other. The one restaurant announced for Galaxy’s Edge, Oga’s Cantina, may feature the park’s version of “blue milk” — which Luke Skywalker drank in the original 1977 “Star Wars” film — though it won’t actually be dairy. The cantina itself will be kept small, and most guests will have to stand to “keep visits from becoming all-afternoon affairs,” according to Barron’s. 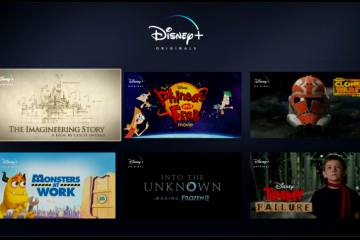 Disney had previously announced the Disneyland version of Galaxy’s Edge would open first, in summer 2019, with Disney World’s version following in late fall. In an interview with Barron’s, Disney chairman and CEO Bob Iger narrowed the California opening down to a specific month. Capacity is a concern for Galaxy’s Edge. 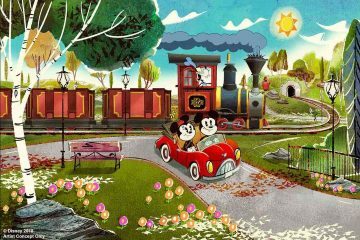 As perhaps Disney’s most highly-anticipated theme park expansion in two decades, the land is sure to attract massive crowds who may have to endure hourslong waits just to step foot in the land, similar to when the Wizarding World of Harry Potter first opened. 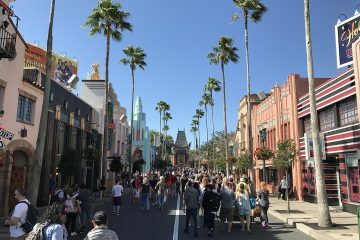 Guests to Disney’s Hollywood Studios may be pushed into other new experiences around the park while they wait for Galaxy’s Edge. 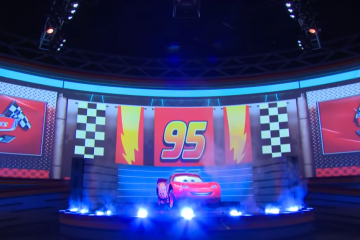 The park added Toy Story Land last year and will add two new attractions before the Star Wars attraction opens: Lightning McQueen’s Racing Academy and Mickey and Minnie’s Runaway Railway.